When it comes to condo living in Cagayan de Oro, Primavera Residences is the ideal choice for home buyers. Primavera Residences is more than just your ordinary condo. Aside from its elegant, Italian-inspired design, it is also the first eco-friendly condo complex in Cagayan de Oro. The twin tower, ten-storey green building is located in the uptown part of the city, a prime spot situated 110 meters above sea level. It boasts of 161 units for each building, with all units at Tower 1 ready for occupancy. You wouldn’t want to miss your chance of owning a condo unit with a nature-inspired design, would you? Primavera Residences boasts of beautifully designed units that are categorized into three: studio type, one bedroom, and two bedroom. Each unit is designed with the occupant’s utmost comfort in mind. I would highly recommend the two-bedroom unit for home buyers and those planning to rent a condo. This is a perfect solution, especially if you live with your family. This is also ideal for singles who love entertaining friends. 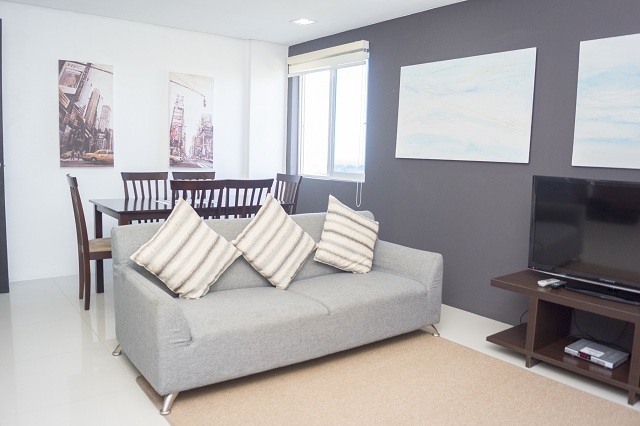 Since the unit is spacious, you can invite your friends over to lounge at your place. 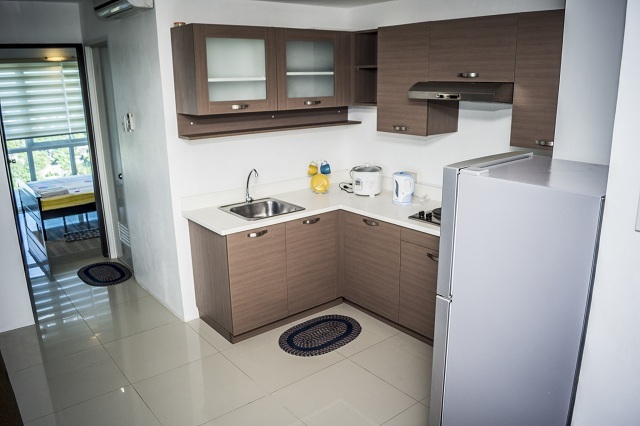 This two-bedroom unit at Primavera Residences (Unit 910) has a floor area of 46 square meters inclusive of a balcony. It is simply the most ideal for entertaining visitors. It is also perfect for sunset viewing or a chat with family members over coffee. This unit is also furnished with essential amenities like kitchen, living room and a bathroom. Living in this unit won’t be a rip off for any home buyer. In fact, when it comes to saving energy, you get to control and even minimize your own energy consumption because the building itself is designed to be energy self-sufficient. Because the cantilevers help reduce heat, unit owners can minimize their use of air-conditioners, thus saving energy and electricity costs of up to 20%. The green inner courtyard within the building is also designed to increase natural ventilation, keeping the air across the units cool while pushing warm air out through the roof. Photovoltaic solar panels will also be installed on the rooftop to produce the building’s own energy and power its common areas. If you are in search of an apartment for sale in Cagayan de Oro, why not just get yourself a condo unit at Primavera Residences. You are not only guaranteed of comfort and wellness, but owning an environment-friendly unit will add more value to your investment. For more information on two-bedroom units at Primavera Residences, check out www.primaveraresidences.com.